Stunning contemporary custom home in the Woodlands on 1+ acre. Marble fireplace, wood burning w/gas light. Distinctive flooring through the entire home. Italian marble, granite, wood, and bamboo. Open floor plan with lots of light. Custom wood cabinets, granite counter tops, & a gas range in this cook's kitchen. Two Master Bedrooms, one on each story. 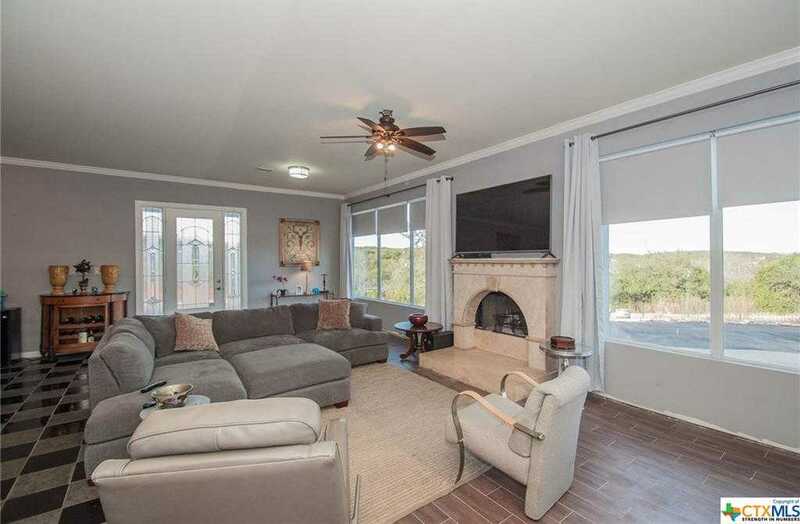 2nd floor & roof balcony have beautiful lake & hill country views. Near golf course, boat ramp, & river fun! Great place to explore the Hill Country. Courtesy of Keller Williams Heritage/Canyon Lake. Stunning contemporary custom home in the Woodlands on 1+ acre. Marble fireplace, wood burning w/gas light. Distinctive flooring through the entire home. Italian marble, granite, wood, and bamboo. Open floor plan with lots of light. Custom wood cabinets, granite counter tops, & a gas range in this cook’s kitchen. Two Master Bedrooms, one on each story. 2nd floor & roof balcony have beautiful lake & hill country views. Near golf course, boat ramp, & river fun! Great place to explore the Hill Country. Please, send me more information on this property: MLS# 368208 – $569,000 – 238 Gallagher, Canyon Lake, TX 78133. I would like to schedule a showing appointment for this property: MLS# 368208 – $569,000 – 238 Gallagher, Canyon Lake, TX 78133.